I took my son to an advance screening of Disney's newest collaboration with Tim Burton. It is SPOOKY family fun! I did not know it was designed to be a throwback to the classic Frankenstein. The film was entirely black and white and referenced scary films like Frankenstein and Gremlins! I laughed, I covered my eyes in fright, and I was totally spooked! But my son loved it, and I bet your kids will too! 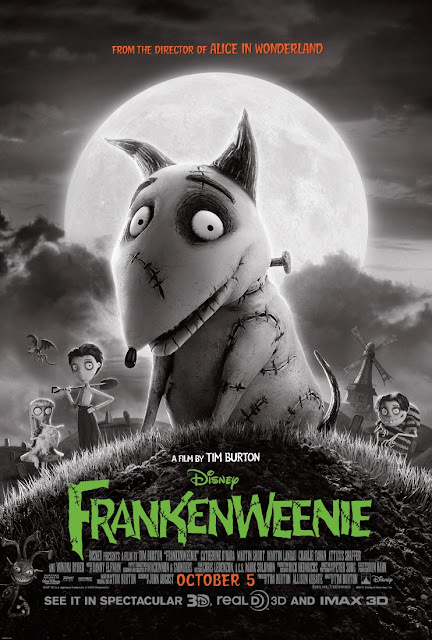 Frankenweenie opens tomorrow at a theater near you! Candy Corn Chocolate Chip Cookies!